As some of you may remember, Back in July we had MAJOR issues with DayZMod. The gamespy to Steam switch really broke the game, (couldn’t connect half the time), and the patch released around the time really broke the game. We tried several DayzMod Hosts, and had several servers up for testing, but everyone of them had issues, specifically with the connecting.  The server would always show offline in the Dayz Launchers and such. Instead of wasting money, and being stressed out, and not being able to give a quality server to our members, I decided to close down the server til it was playable. Which means i took a near half year break from the game. The server was last functioning back in July. Seems some good changes have happened Since. I recently played for the first time since July, and the game seems to be in a much better place, which makes me super happy because I really missed it. I decided to set up a server again and see how it goes. The reason for setting up our own server is the same as it was before: Control. We like a good playing experience with good features, and the only way we can ensure that or attempt it is to set up our own. The server is up and running at the moment, but having some issues. Alot of the code has changed, and some of the previous features aren’t working, but I’m trying to get everything working good and smoothly. Also, there is a newer and better launcher for joinging the game now, called DayZLauncher. Works much better than DayzCommander. You can download it here: http://dayzlauncher.com/. the AI missions are buggy at the moment, but they are semi-working, and am working to fix them. Next Story No means no!